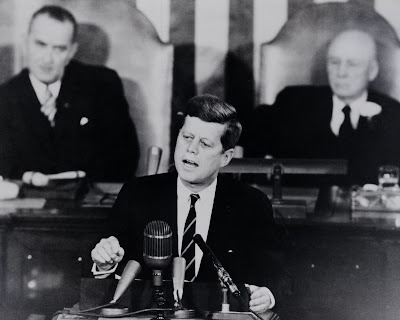 President Kennedy speaks before Congress, May 25, 1961. The silence is the most notable. When the President of the United States speaks before a joint session of Congress, it seems that nearly anything will set the chamber off in a fervor of applause. However, when President John F. Kennedy spoke those words before the assembled chambers on May 25, 1961, it was met with uncharacteristic silence. It was only 3 weeks after Alan Shepard took a Mercury capsule atop a Redstone rocket to the very edge of space to become America’s first astronaut. The United States was playing catch-up after the Soviet Union’s Yuri Gagarin had already orbited the Earth, and Alan Shepard’s 15-minute ballistic visit to space fell well short of that previous accomplishment. Here was the President advocating a plan to do what had seemed impossible for all of human history. It was crazy. It could never happen. When you watch the video of that speech today, you can hear Congress’s reluctance to endorse such an audacious vision. 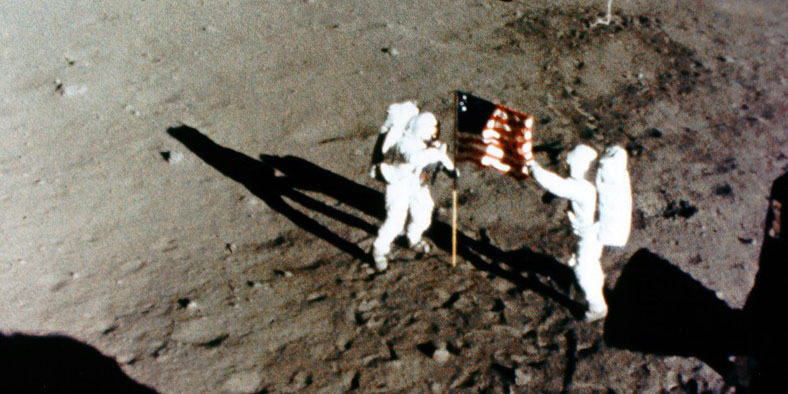 Astronauts Neil Armstrong and Buzz Aldrin raise the American flag on the surface of the Moon. Of course, we know it was possible. It did happen. Eight years after the President spoke those words, Neil Armstrong and Buzz Aldrin raised the American flag above the plains of the Sea of Tranquility on the Moon. There were 11 crewed Apollo flights. Nine traveled to the Moon. The Apollo program was the third and final phase of the America’s strategy in the race to the Moon. Project Mercury sent capsules crewed by only one astronaut into the space, for relatively short durations, just to figure out how to even get there and stay for any length of time. Project Gemini proved that human beings could live in space for extended stays, and actually do meaningful work while there. 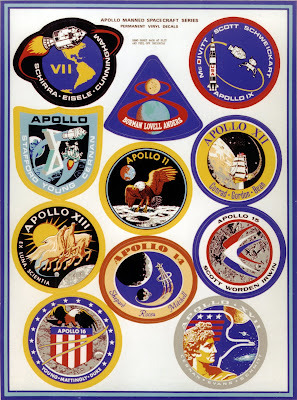 Project Apollo was the culmination of all this work. The Apollo spacecraft would carry humans away from their own planet for the first time, and land them on an alien world. Yes, Apollo would complete the challenge set by President Kennedy, but it would do much more. It would bring back pieces of the Moon to help answer question that people have asked since there were people. How old is the Moon, and where did it come from? Did it form at the same time as the Earth? Was it spun off from the molten Earth, like some sort of baby planet? Was it an asteroid that wandered too close and was captured by Earth's gravity? Kennedy Space Center's Vehicle Assembly Building. It took hundreds of thousands of people working together to make Apollo successful. From the astronauts who braved the journey, to the engineers who designed the spacecraft and rockets. From the fabricators who meticulously pieced the machine together with precision greater than any clock, to the seamstresses who sewed together the parachutes to slow the capsule to land on Earth. Each job demanded exacting precision. If any part of the enormous vehicle failed, it could spell disaster for the crew. Each person who worked on the project assumed that responsibility. 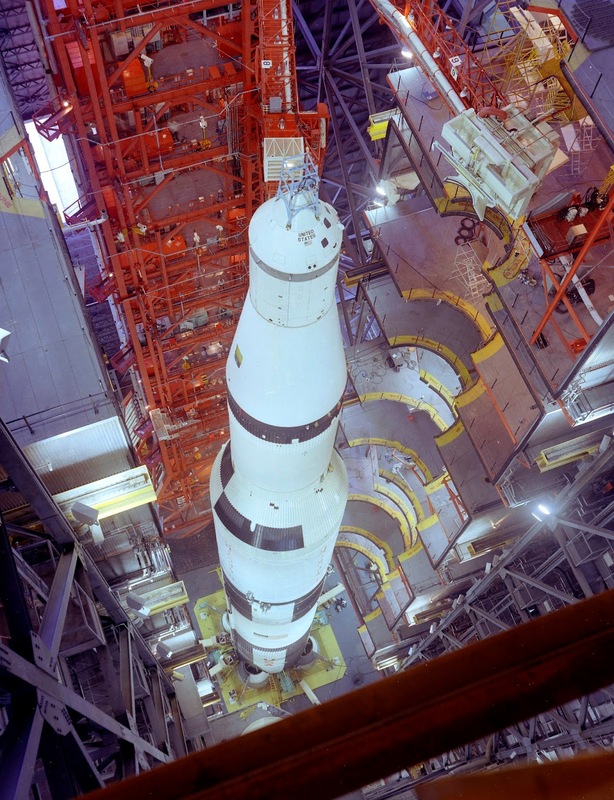 "It won't fail because of me," became a mantra of Apollo workers. 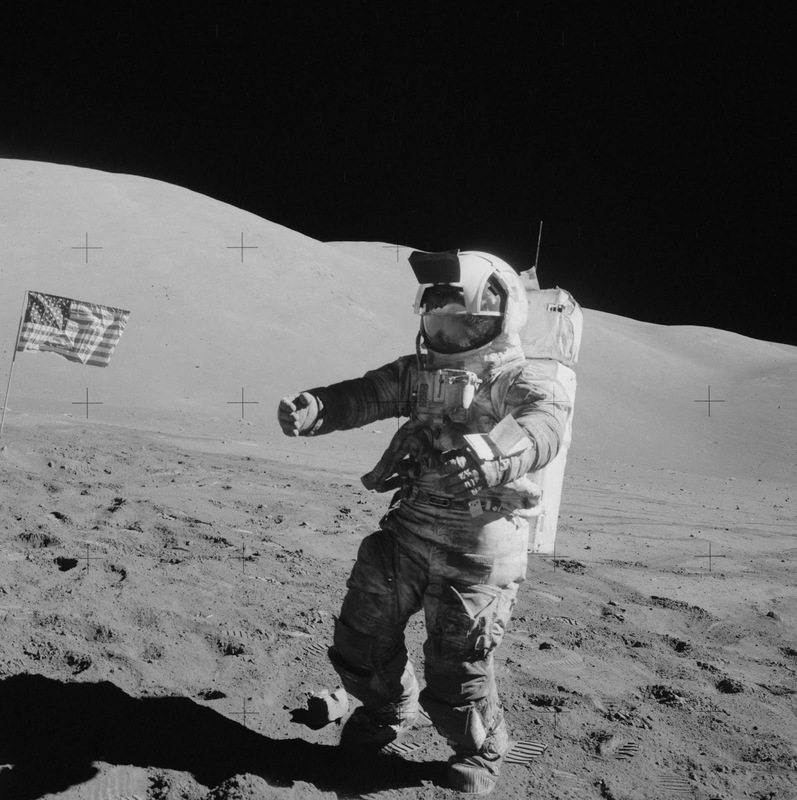 At its peak, the Apollo program employed nearly 400,000 people, and touched every state. President Kennedy’s speech was prescient in its vision. The Apollo program deserves to be celebrated for its scientific and engineering success. However, the Apollo program’s greatest legacy is as a human moment that transcended national and cultural identities. An estimated 530 million people watched Neil Armstrong take his first steps on the Moon, greater than twice the population of the United States at the time. We were, for a brief moment, one species united by having accomplished the impossible. For as much as the sight of the Stars and Stripes thrilled the Americans, and stung at their Soviet counterparts, that was not the image that most resonated with the people who witnessed it. It was instead the image of a human being, standing on a alien shore far from home. Ultimately, it didn't matter to the world that the men were Americans. It sufficed that they were humans. 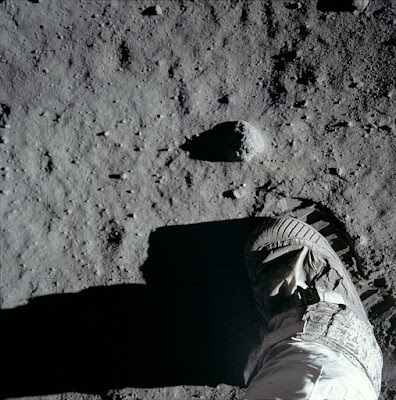 Humans, not terribly different from the people who left footprints in the African mud some 100,000 years ago, were now leaving their footprints on the Moon. The humans were capable of greatness. Astronaut Harrison Schmidt in the Sea of Serenity, December 1972. This is believed to be the last photograph of an astronaut on the Moon. Image Credit: NASA. Over the next few years, the Delta College Planetarium and Learning Center will be following along with the Apollo missions as they progressed 50 years ago. We will mark each mission in various different ways through this time. Some missions will be reported on through our social media channels like Facebook. Special programs in the planetarium dome will mark others. The Delta College Planetarium will be hosting a lunar photography exhibit titled “Many Inspired Steps” throughout the spring and summer of 2019. The exhibit features many pictures taken by astronauts on the barren lunar surface. On July 20, 2019, the Delta College Planetarium will host a special event commemorating the 50th anniversary of the first lunar landing. That does not mark the end though. We will continue to follow along with the Apollo missions on a 50-year delay up through Apollo 17, the last mission to return humans from another world.